We’d love to cater your next birthday party, office picnic, special event or just because you feel like Sicilian Street Food! Would you like us to cater or vend? Cater-items are prepaid for your guests & individual transactions don’t occur. Vend-we sell items at retail value to guests from the truck at your event. Drop off catering is also available. Please see our menu for our cratering items. Where is the event’s location and what is the venue? What is the date and what time would you like the truck to arrive? Also include any special requests, additional information that will be needed and contact info. Chea Carmack and her dream to bring to the streets of Indianapolis her family’s Italian & Sicilian recipes. 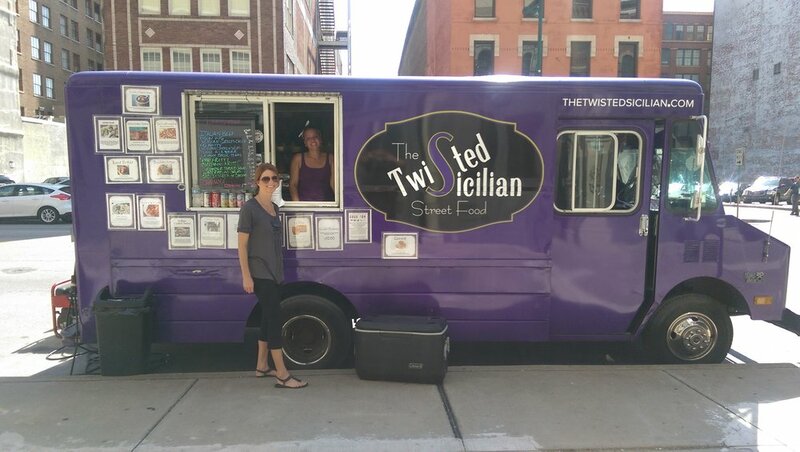 With the help & hard work of good friends and family, Chea is now serving up her Pasta, Panini, Italian & Sicilian street food from her little purple food truck.